No nonsense strategies to give your business that competitive edge. However challenging and competitive business becomes, there is a simple, easy way to improve results and achieve massive change. 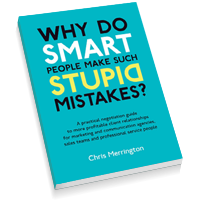 An international speaker and author, Chris uses the psychology of pricing and selling to give your business strategies to beat the competition and achieve bottom line growth. He challenges people to think and behave differently, sharing simple, practical strategies and techniques so your team can be more bullish in their pricing and to recognise the real value of their impact. To become a more trusted advisor to existing customers and deliver bottom line growth. 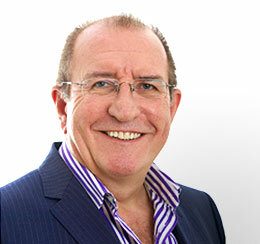 Chris is a high content professional business speaker who has worked with senior leadership teams, sales teams, dealers, Franchisors, SMEs, Conference Organisers and Chief Executives. He’s spoken at conferences, seminars and workshops in the US, UK and across Europe. He has a passion to change minds, behaviours and companies’ fortunes.